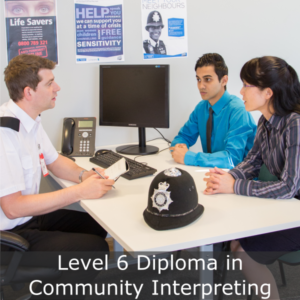 Utilising content taken directly from our Level 6 Diploma in Police Interpreting, this two day workshop provides you with detailed background knowledge of processes, policies and terminology that you need to be aware of when interpreting for the Police and will also provide you with the opportunity to build your terminology and practice interpreting in Police situations with other interpreters in a safe environment. 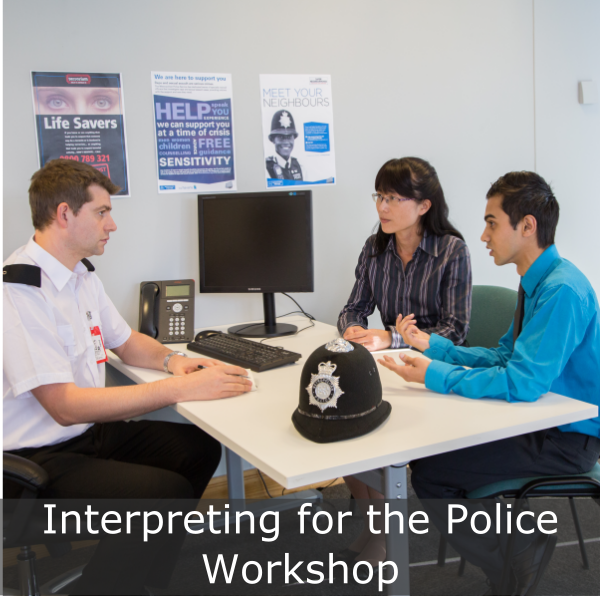 Available for bilingual interpreters in all languages, this workshop combines tutor led sessions, group exercises, professional discussions, homework exercises, research activities and hands-on practise sessions to help you to build your knowledge and skills in a police setting. This course is beneficial for interpreters who are interested in adapt their skills to be able to interpret in Police situations and also for interpreters who already provide interpreting within Police settings who would like to refresh or further develop their skills and knowledge. 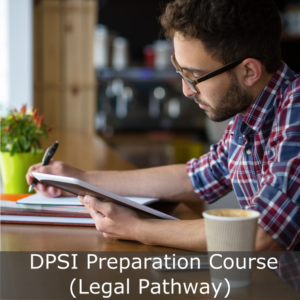 Note: this is not an interpreting qualification and although the content of this course can be used to help you prepare for interpreting qualifications it is not enough in isolation for you to qualify as a police interpreter. 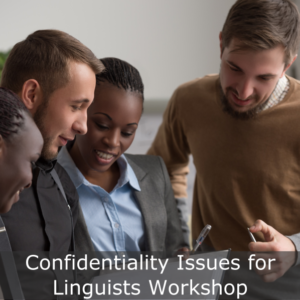 Please contact the team at info@islinguists.com for information on the next workshop dates. You will be asked to confirm your location preference after purchase. YOU CAN RESERVE YOUR PLACE ON THE WORKSHOP TODAY. Simply click the 'Get Started Now' button below and complete the checkout process to get started. To book your place on the workshop, you need only to pay the basic entry price. The cost will cover the attendance on the day and any materials, refreshments and a basic certificate of completion. You will have the option to upgrade your certificate to Endorsed or Accredited Level 6 for an additional fee if you wish. The work you do at this workshop can be put toward the Level 6 Diploma in Community Interpreting qualification. What jobs is this workshop suitable for? In these roles, you could earn between £30 and £60 per hour (source: http://www.prospects.ac.uk). Where is the workshop venue? The workshop will be delivered in Farringdon, London. Reserve your place by clicking the ‘Get Started Now’ button. Each day of the workshop lasts for 6 hours, not including scheduled breaks. 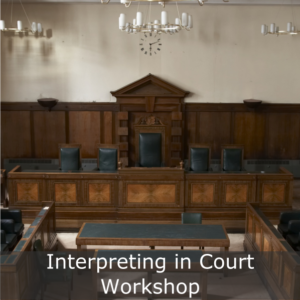 There are no specific requirements to join the workshop, but please note the delivery will be in English and is designed for those who are studying to be, or working as, professional interpreters. Are the UK police Force Armed? How many credits is the workshop worth? The workshop is worth 50 CPD hours. The full, accredited workshop is worth 5 credits at Level 6. You will be assessed through your participation in the workshop and the ‘homework’ assigned. Can I apply for funding or discounts? For information on funding and discounts, please click here. Is the workshop tax deductible? If you’re self-employed and if purpose of the training is to up-date your existing skills and expertise, you may be able to claim for tax deductions. 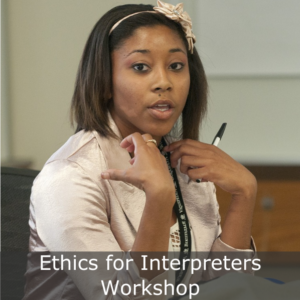 For example – if you are already an interpreter and you are attending this workshop to increase your existing skills. You can get started with your qualification today by clicking the ‘Get Started Now’ button on this page.